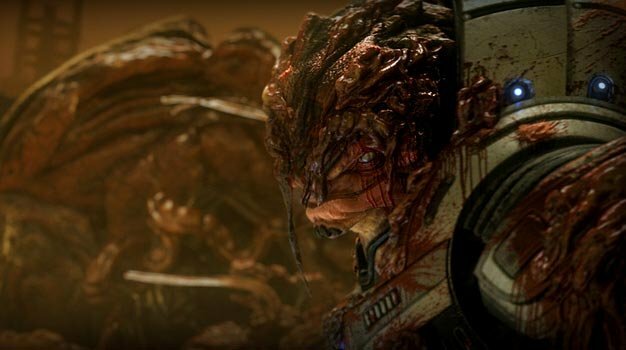 The consequences of your decisions in the first Mass Effect will have implications as far reaching as Mass Effect 3, according to BioWare. Speaking on the Major Nelson podcast, BioWare CEO Dr. Ray Muzyka revealed that the trilogy will reward players for carrying across their save data, but that the payoff may not come until the final adventure. “Some decisions you made in Mass Effect 1 you might not see reflected in Mass Effect 2 and you’re saying: ‘Ah! Ha! Got those guys. They didn’t reflect the choices I made in the second game,'” said Muzyka. In the same interview, BioWare’s Greg Zeschuk expanded on how the team balance the tailored, decision-shaped narratives with an overarching storyline. “The system of storing information is flexible enough to see what resonates, for example in 2, and decide what we want to reflect in 3,” said Zeschuck.